For my son's 5th birthday in December last year, I made a salad to go with the homemade pizza. 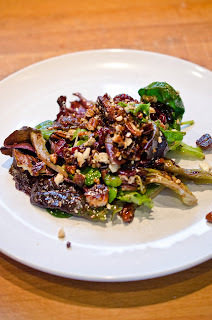 The salad was sort of like a salad my sister-in-law Kandi made for family holiday dinner's. 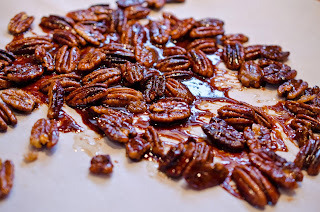 Our friend Carmen asked me for the recipe. I told her I would be posting it, and here we are months later. I'm sorry Carmen, this took way too long to post. 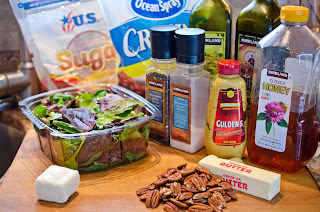 This salad even won over her husband Tom, go figure! If you happen to be like my friend Angela, and love salads, then this is for you. 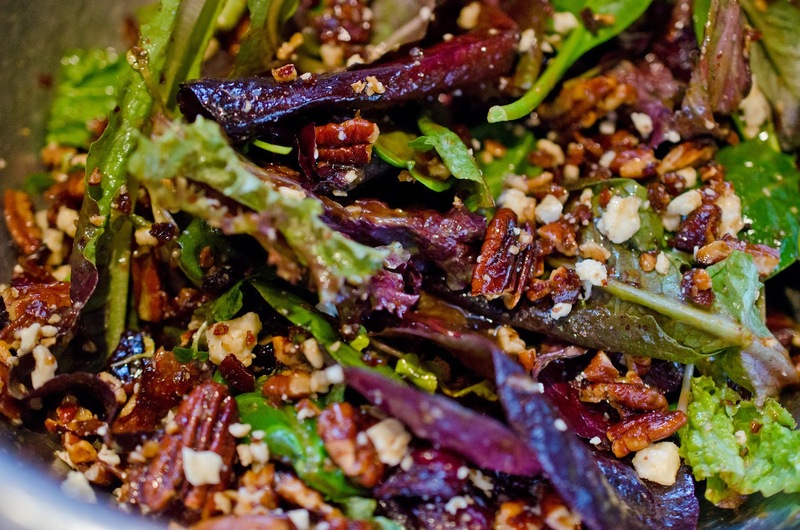 If you like salad, and your into everything in your salad, this will fit the bill nicely. 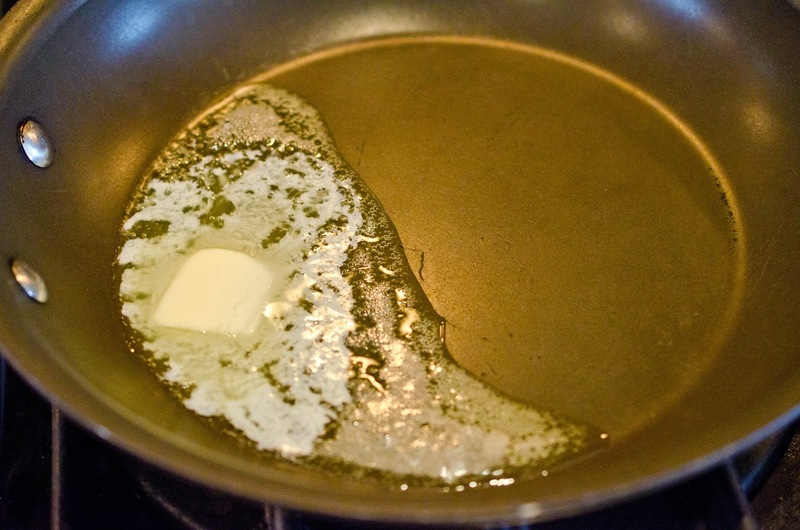 Place a medium size skillet over medium heat. Add butter to pan and allow to melt. Add brown sugar to butter and stir. 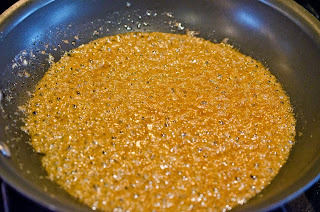 Allow butter and sugar to melt and bubble. 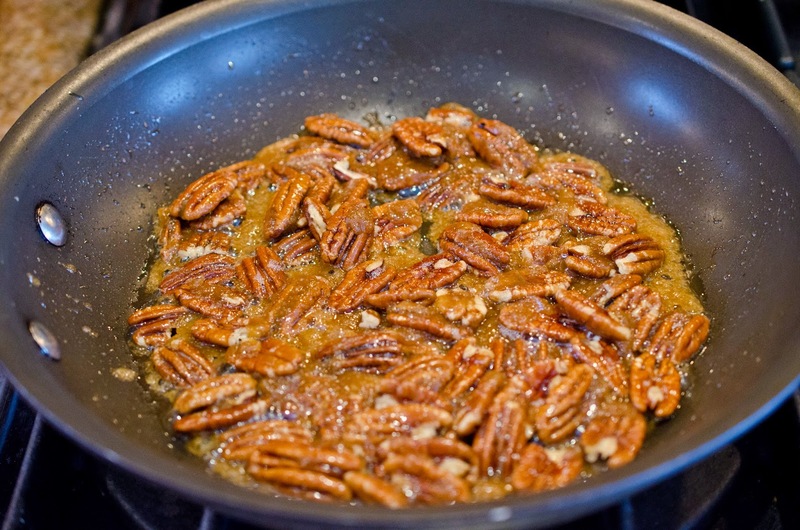 Place pecans in pan with melted sugar. Stir pecans until coated and shining. Allow to cook for a couple of minutes. Be careful they will burn. 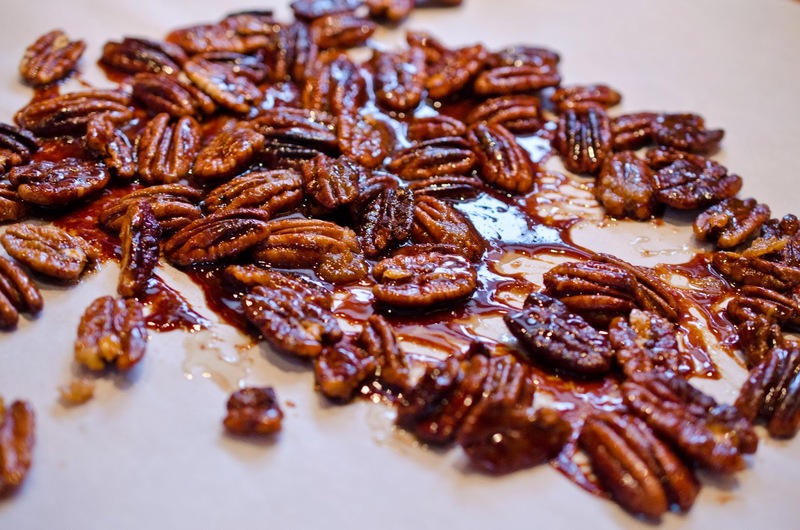 Pour pecans on a piece of parchment paper on the counter to cool. Break up when cool. 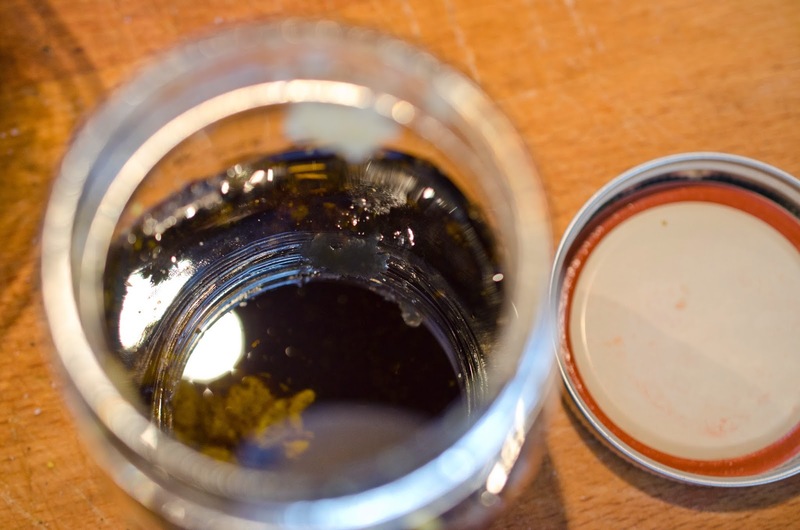 Place all ingredients in a pint size mason jar with lid and ring screwed on. Shake the jar to combine. 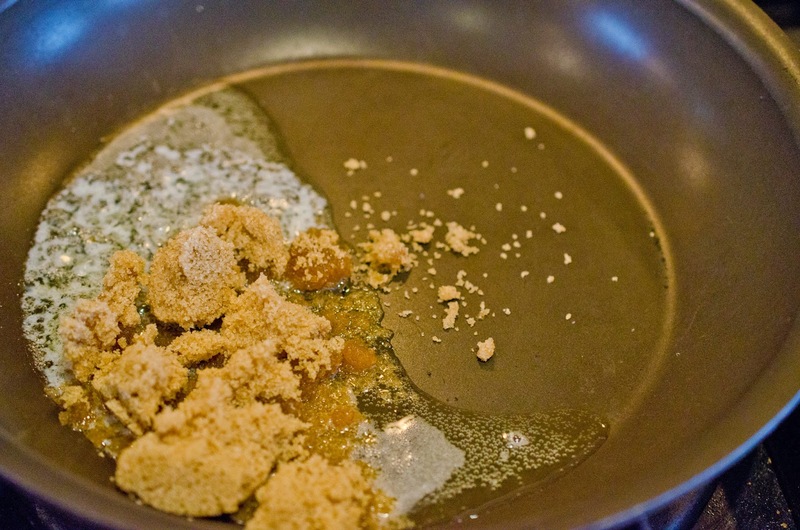 and crumbled feta. Toss with Balsamic Vinaigrette. Add as much you prefer. Serve with pizza or any other entree. 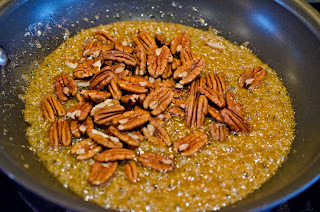 Stir pecans until coated and shining. Allow to cook for a couple of minutes. Be careful they will burn. Place all ingredients in a pint size mason jar with lid and ring screwed on. 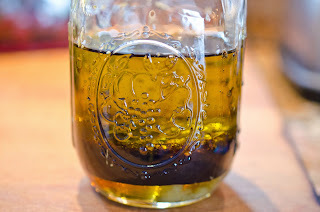 Shake the jar to combine. 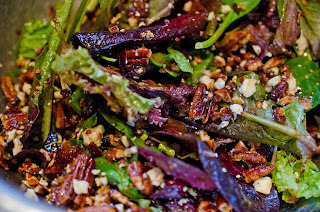 Rinse and dry spring salad and place in a large bowl. 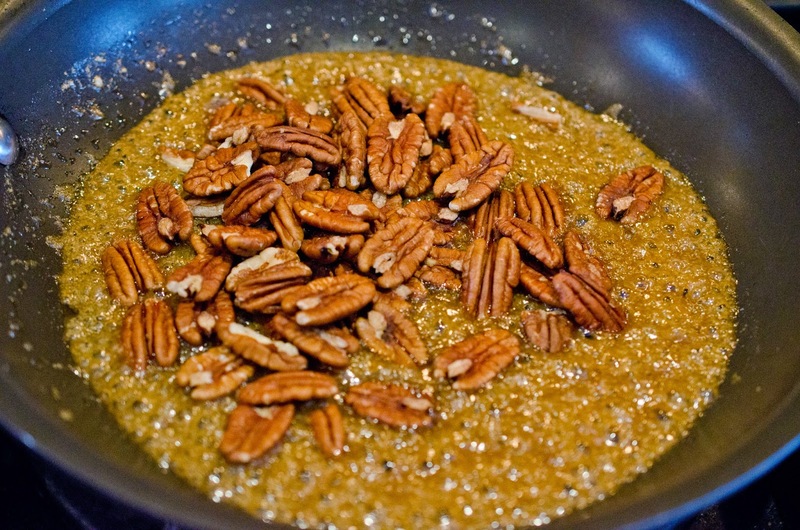 Add pecans, cranberries, and crumbled feta. Toss with Balsamic Vinaigrette, add as much you prefer. Serve with favorite entree.